We are greatful for the support of all the people that help us organise this great event. Without our sponsors we wouldn’t be able to make the festival as big and successful as it is. We have a professional sponsorship agreement with different levels of sponsorship and these professionals offered to be a partner of the Endless Summer Sports Festival. 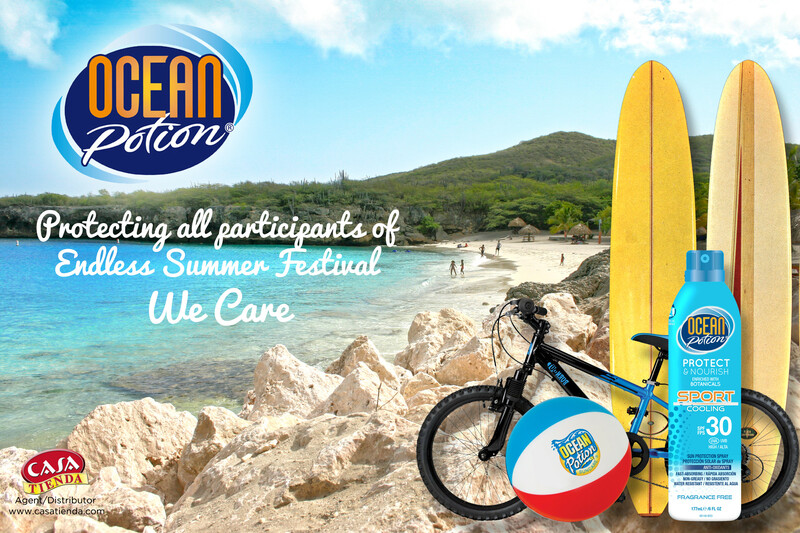 Our competitors will be safe in the sun thanks to our sunscreen sponsor Ocean Potion!! !